The best season of the year is in full swing, whether you’ll be away or spending more time with your little ones, there is plenty to do in the area for families who wish to enjoy this lovely and (hopefully) sunny time of the year. 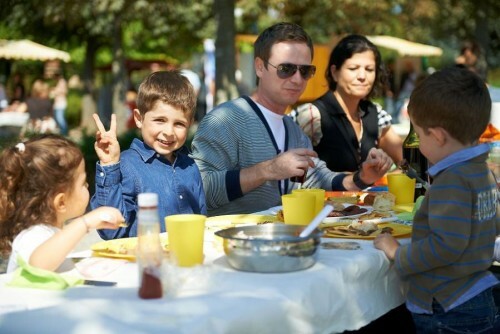 1st August 2013: celebrate Swiss National Day with a brunch at the farm, a Swiss tradition by which farmers welcome the public onto their farms for a delicious meal made with local produce. 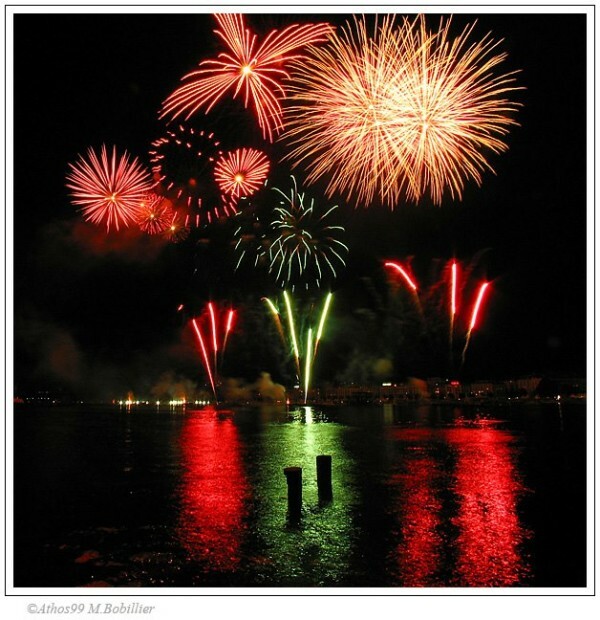 Alternatively, join the Swiss National Day picnic in Lausanne (from11am to 8pm, Esplanade de Montbenon) or join in the celebrations which will be taking place in Geneva, Nyon, Morges, Signal de Bougy and at the Château de Chillon. 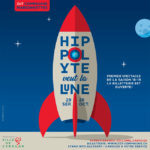 The celebrations in Geneva will start at 3pm at the Plaine de Plainpalais and will include a fun family disco, horse rides and workshops for the little ones,Roman chariots races and much much more. Swiss National day is an official national holiday since 1994, and it celebrates the foundation of the Swiss Confederacy so make sure you don’t miss these fab events ! 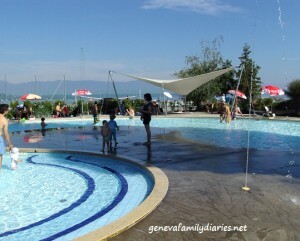 Now that summer is here, discover the best lidos and swimming pools in Geneva and Vaud, for a selection of our favourite ones take a look at our previous articles: “Make a splash” and “Beat the Heat”. Sunday 4th August 2013: “En visite chez le baron”, a fun-filled day (in French) at the Château de Prangins for children aged 4 and older. Actors in period costumes will conduct special tours of the permanent exhibition “Noblesse Oblige” and show children what is was really like to be a Baron in Switzerland in the 18th century. Free entry for children up to the age of 16, open from 10.30am to 4.30pm. 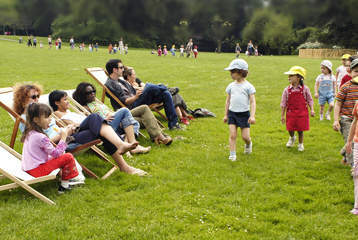 Sunday 4th August 2013: Petits Rendez-vous at Geneva’s MAMCO for children aged 5 to 10 accompanied by an adult. These fun, interactive visits for kids are free of charge and require no advance booking. The tour starts at 11.15am. There will be other tours on Wednesday 7th, 14th, 21st and 28th of August as well. 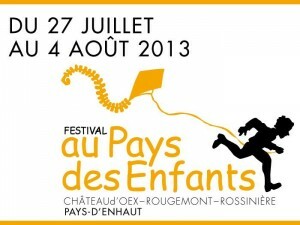 until 4th August 2013: “Au pays des enfants” kids festival in the Pays-d’Enhaut (communes of Château-d’Oex, Rougemont and Rossinière). 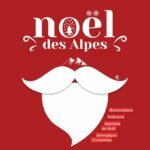 The programme includes over 100 shows and plenty of creative workshops for children of all ages, what a great family day-out in the beautiful setting of the Pays-d’Enhaut ! Vist the official website for full programme details in all 3 communes and to buy your tickets. If you have a Coop Hello Family card you can claim a 20% discount ! 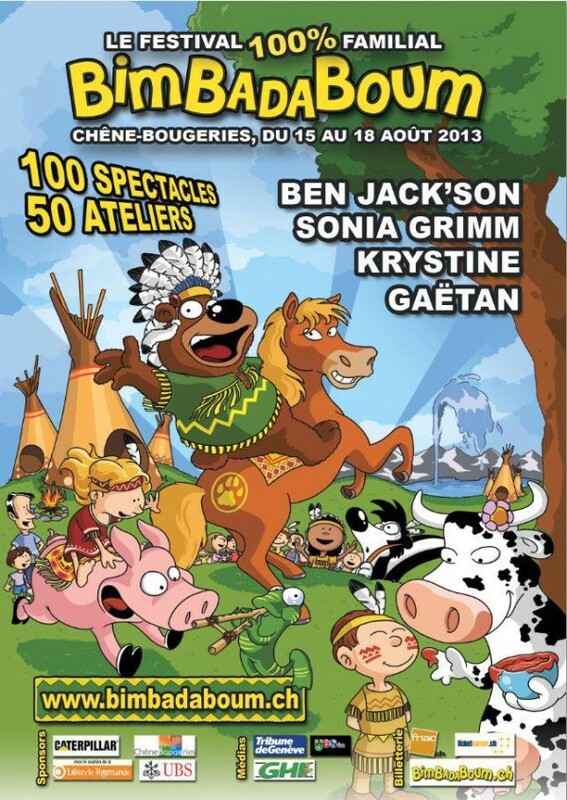 5th-11th August 2013: “Animations Jeune Public” everyday at 3pm at the amphitheatre at Signal de Bougy (Parc Pré Vert). The shows are free of charge and take place outside so they will be cancelled in case of rain or bad weather. This week’s show is “Velinos”, all about magic, circus and impressive balancing acts. 5th-23rd August 2013: Bibliothèque dans la rue at the Bibliothèque des Pâquis (Place de Chateaubriand, next to the primary school) every afternoon from 2.30pm to 6pm for children aged 4 to 12. Every afternoon you and your little buttons will be able to enjoy free readings, tales and games organized in collaboration with the Ludothèque de Pâquis-Sécheron. On Wednesdays and Thursdays afternoons from 4pm to 6pm there will be free creative workshops organized by les CréAteliers. Free entry. Tuesday 6th August 2013: Atelier vacances “Potager des cinq senses” in French for children aged 7 to 12 at the Château de Prangins (VD). The workshop will run from 2pm to 4.30pm, the cost is only 10CHF per child (snack included) but places must be reserved in advance at 022 994 88 93. 6th & 8th August 2013: “Découverte du biotope” a fun activity for children aged 6 to 15, from 1.30pm to 4.30pm at the Bains des Pâquis. The price is 5CHF per child. Discover more about the fauna of Lake Léman: plants, algi, insects and more with the help of the biologists from the Association Libellule. Don’t forget your bathing suits ! Reserve your places directly at the “Rotonde” on the same day, or call 022 732 29 74. 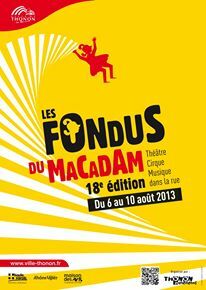 6th-10th August 2013: “Les fondues du Macadam” in Thonon (France), a fabulous festival that will delight the whole family with its varied programme of circus and theatre shows, clowns, acrobats, live music and much more. If you have young children don’t miss “Fourmi de Pain” from age 2 on the 7th and 8th of August, as well as “20 000 lieues sous les mers” from age 4 on the 9th and 10th of August. See the official website for full programme details and to book your tickets. 6th-18th August 2013: “La promenade du roi”, a delightful theatre show in French from age 4 at the Théâtre de l’Orangerie in Geneva (Parc La Grange, Quai Gustave-Ador 66c). See the official website for performance times and to reserve your tickets. Wednesday 7th August 2013: Mini & Petits Rendez-vous at Geneva’s MAMCO for little ones aged 2 to 4 (Mini rendez-vous) and 5 to 10 (Petits rendez-vous) accompanied by an adult. These fun, interactive visits for kids are free of charge and require no advance booking. Introduce your little ones to the joys of modern art with these great guided tours, which start at 3.15pm. There will be other tours on Wednesday 14th, 21st and 28th of August as well. 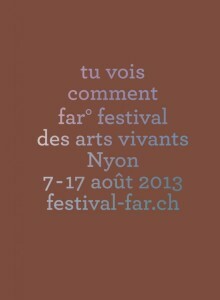 7th-17th August 2013: “Far° festival des arts vivants” in Nyon (VD). 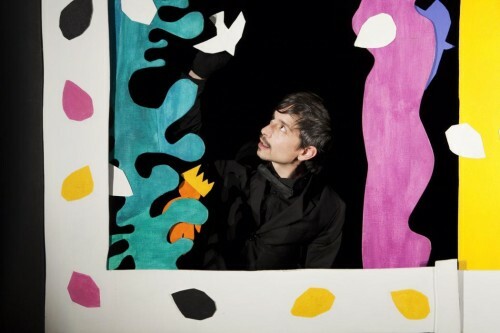 A fantastic festival encompassing visual arts, theatre and dance. See the official website for full programme details and to buy tickets. 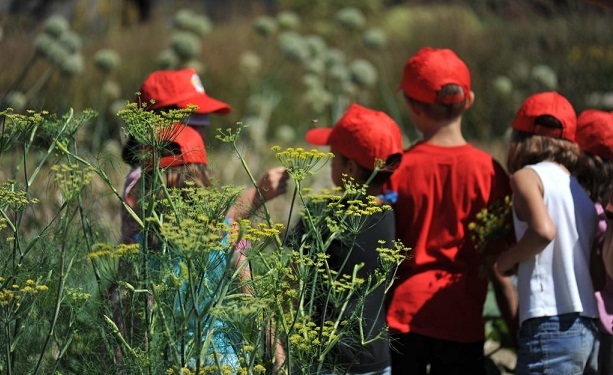 8th August 2013: “Découverte du biotope” a fun activity for children aged 6 to 15, from 1.30pm to 4.30pm at the Bains des Pâquis. The price is 5CHF per child. Discover more about the fauna of Lake Léman: plants, algi, insects and more with the help of the biologists from the Association Libellule. Don’t forget your bathing suits ! Reserve your places directly at the “Rotonde” on the same day, or call 022 732 29 74. Thursday 8th August 2013: “Contes et goûters pour petits et grands” at the Jardin des 5 Senses in Yvoire (France). A unique opportunity to take in the picturesque sights and medieval charme of this beautiful village, read more about Yvoire and how to get there by boat in our previous post. The story-time session begins at 3pm and places must be booked in advance at +33 (0) 450 72 88 80 or mail@jardin5sens.net – the price is 15 euro per person/child, story-time will last around 1 hour and the snack approx. 30 mins. 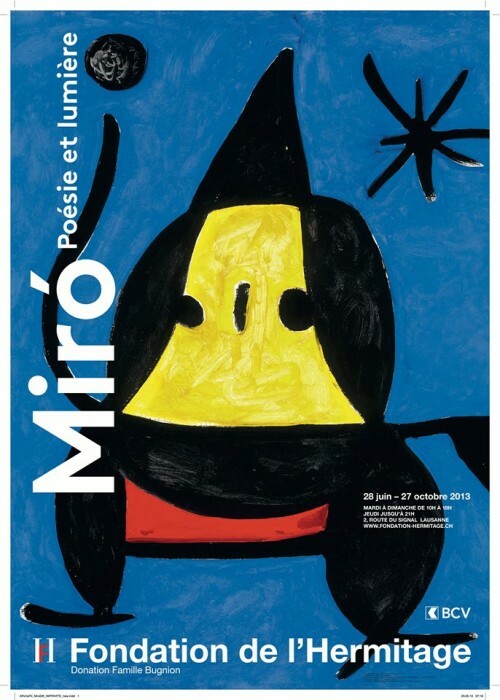 until 11th August 2013: “Roger Pfund Le multiple et le singulier” an exhibition about the Franco-Swiss painter and graphic designer Roger Pfund at the Musée d’art et d’histoire in Geneva (Rue Charles-Galland 2). 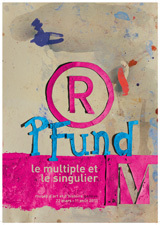 Discover the fascinating world of Pfund’s designs and his use of different materials. Free entry under the age of 18 and on the first Sunday of every month. 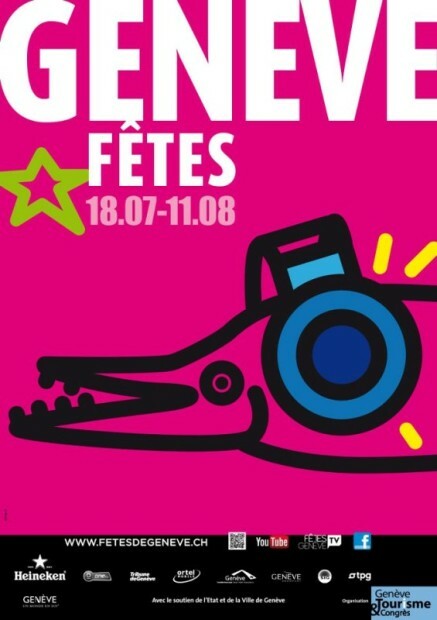 Until 11th August 2013: Fêtes de Genève, the city’s summer festival is on its way with 150 free concerts on three different stages (Club Stage in the heart of the Jardin Anglais; the very popular Funkytown Stage at Baby-Plage and the new Wilson Stage on the Right Bank). funfair, food stalls and the lakefront festival starting on the 3rd of August 2013. Read all about the best festival’s highlights in our previous post. Don’t miss the traditional waiters’ race and the amazing firework display on the 10th of August from 10pm. 12th-18th August 2013: “Animations Jeune Public” everyday at 3pm at the amphitheatre at Signal de Bougy (Parc Pré Vert). The shows are free of charge and take place outside so they will be cancelled in case of rain or bad weather. This week’s show is “Lulu et Chichili”, a classic clown show. Tuesday 13th August 2013: Atelier vacances “Prête-moi ta plume” in French for children aged 8 to 12 at the Château de Prangins (VD). The workshop will run from 2pm to 4.30pm, the cost is only 10CHF per child (snack included) but places must be reserved in advance at 022 994 88 93. Wednesday 14th August 2013: Petits Rendez-vous at Geneva’s MAMCO for little ones aged 5 to 10 accompanied by an adult. These fun, interactive visits for kids are free of charge and require no advance booking. Introduce your little ones to the joys of modern art with these great guided tours, which start at 3.15pm. There will be other tours on Wednesday 21st and 28th of August as well. until 14th August 2013: Histoires en herbe, summer storytime in Plan-les-Ouates for children aged 4 to 10 every Monday and Wednesday morning from 10am to midday. The Monday session will take place outdoors on the Mail in Plan-les-Ouates (near the Mairie) and in case of rain on the steps of the “salle de gym” of the école du Pré-du-Camp. 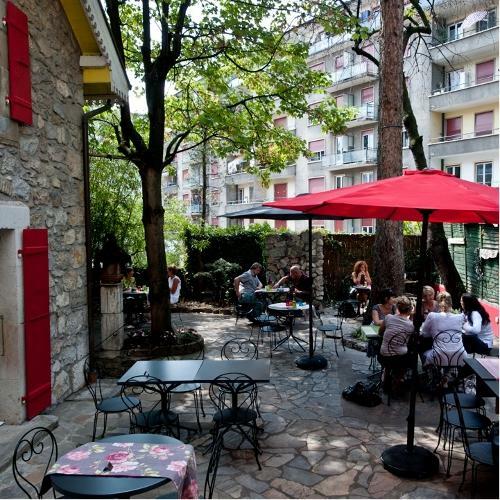 The Wednesday sessions will take place “sur l’herbe”, near the école du Vélodrome (close to the playarea), and in case of rain under the veranda of the Maison Ravy. Free entry, for more info contact Catherine Hostettler on 079 654 51 06. 15th-18th August 2013: Bimbadaboum Festival in Chêne-Bougeries, Geneva (Parcs Sismondi et Stagni – Route du Vallon 8). A fantastic family festival offering over 1001 fun & cultural activities. 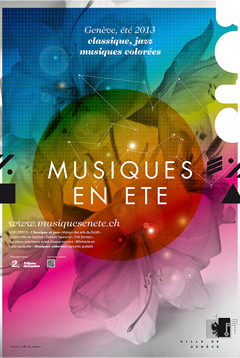 The list of much-loved kids’ performers includes Krystine, Gaëtan, Sonia Grimm, Ben Jackson & the comédie musicale ACMGE (Atelier de Comédie Musicale pour tous, Genève). The programme also offers great shows by famous actors such as Titus & ZinZin, Elena, Drôle de Zanimaux, Eddy le magicien and more clowns, puppetmasters, storytellers, dancers etc. Visit the official website for full programme and workshops details. Open from 11.30am to 7pm everyday, but on Saturday & Sunday try to be there at 9.30am to enjoy the brunch en musique offered by Swissmilk ! Click here for more details on individual and family ticket prices. 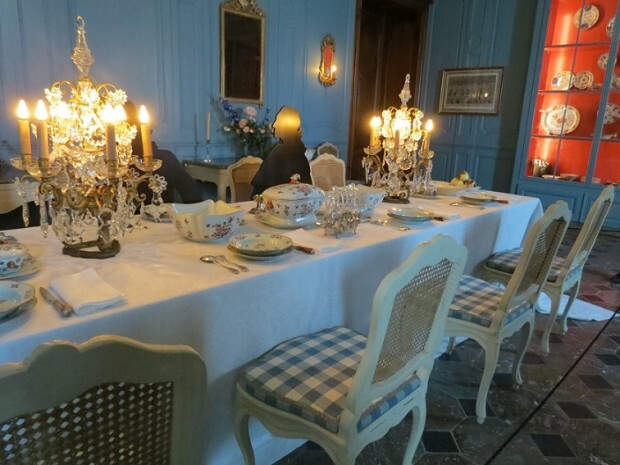 Sunday 18th August 2013: “En visite chez le baron”, a fun-filled day (in French) at the Château de Prangins for children aged 4 and older. 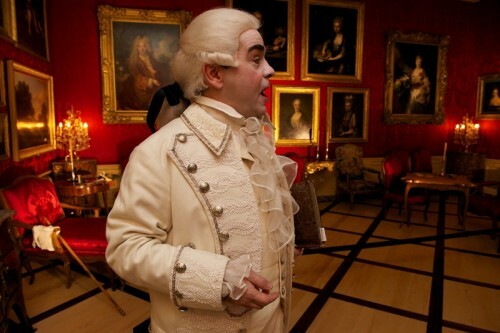 Actors in period costumes will conduct special tours of the permanent exhibition “Noblesse Oblige” and show children what is was really like to be a Baron in Switzerland in the 18th century. Free entry for children up to the age of 16, open from 10.30am to 4.30pm. 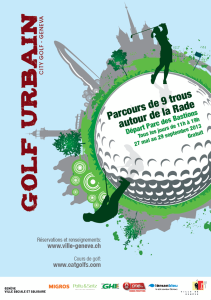 18th August 2013: Restaurant Day in Lausanne. Everyone can become chef for a day! 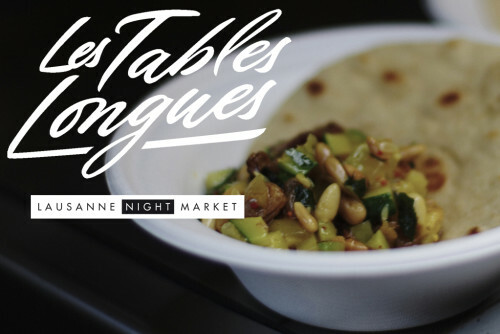 Come and enjoy 15 pop up restaurants proposed by local people who just love cooking. 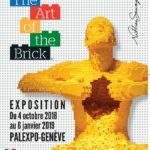 Mini-burgers, tapas, Columbian food, urban food…just take your pick of what will be presented in various places across the City of Lausanne, including private homes and even jacuzzis ! See the official website for the complete list of 15 pop-up restaurants, from mini burgers to macaroons and Colombian cuisine the choice is yours. 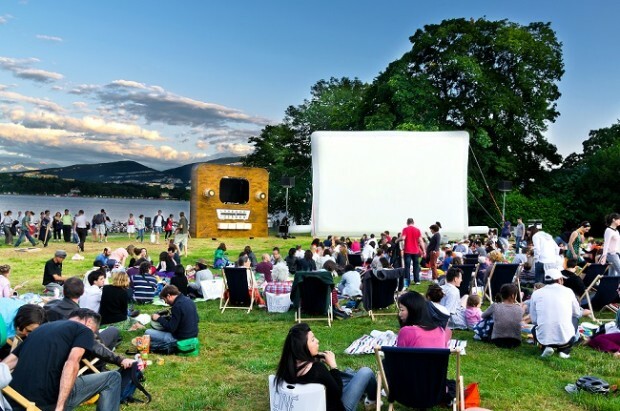 Until 18th August 2013: OrangeCinema Genève at port Noir is offering a varied programme of activities for children organized by BG World. From baby gym trails and mini bouncy castles for the under fives to circus workshops and olympic games for children under 12, there will be plenty to keep everyone entertained! Open every Wednesday and Sunday from 11am to 6pm, click on their official webpage for full details. 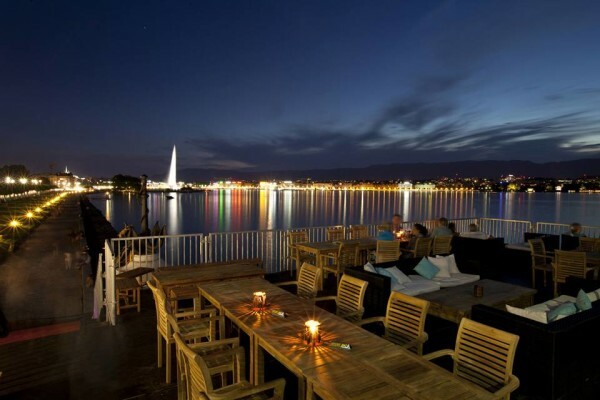 Until 18th August 2013: OrangeCinema Genève, a swanky open-air cinema at Geneva’s Port Noir, with a great lounge bar area overlooking the lake and Jet d’Eau. The movie list includes various avant-premières and many new releases, check the official facebook page for full details. Book your favourite baby-sitter for the evening: this is a very romantic night out for mums & dads ! Until 18 August 2013: CinéTransat is one of the Geneva’s best-loved summer events and it’s easy to understand why, every evening at dusk they show a selection of great movies free of charge in the wonderful setting of the Parc de la Perle du Lac – you can bring your own picnic and enjoy a lovely evening out with family and friends. But this is not all: they also organize a series of theme and karaoke nights, from Indiana Jones to Zombies or ski night make sure you dress the part ! Find out more about CinéTransat in our 2012 interview with founder and organizer Dan Acher. If you’ve never been, we promise you will love this event – if you’ve been, we bet you can’t wait to go back this year ! Movies are shown in their original version with subtitles, so all British & American movies will be in English, check their facebook page in case of bad weather or rain as the session might be cancelled. “The Goonies” on the 11th of July 2013 and “Princesse Mononoke” on the 15th of August 2013 (in French) are great movies for kids of all ages ! 19th-25th August 2013: “Animations Jeune Public” everyday at 3pm at the amphitheatre at Signal de Bougy (Parc Pré Vert). The shows are free of charge and take place outside so they will be cancelled in case of rain or bad weather. This week’s show is “Ca démeninge” by les Aventures de Tommy, a fun music show. Tuesday 20th August 2013: Atelier vacances “Chasse au trésor” in French for children aged 7 to 12 at the Château de Prangins (VD). The workshop will run from 2pm to 4.30pm, the cost is only 10CHF per child (snack included) but places must be reserved in advance at 022 994 88 93. Wednesday 21st August 2013: Petits Rendez-vous at Geneva’s MAMCO for little ones aged 5 to 10 accompanied by an adult. 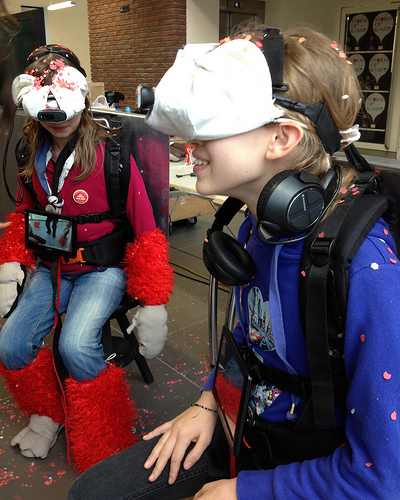 These fun, interactive visits for kids are free of charge and require no advance booking. Introduce your little ones to the joys of modern art with these great guided tours, which start at 3.15pm. There will be other tours on Wednesday 28th of August as well. 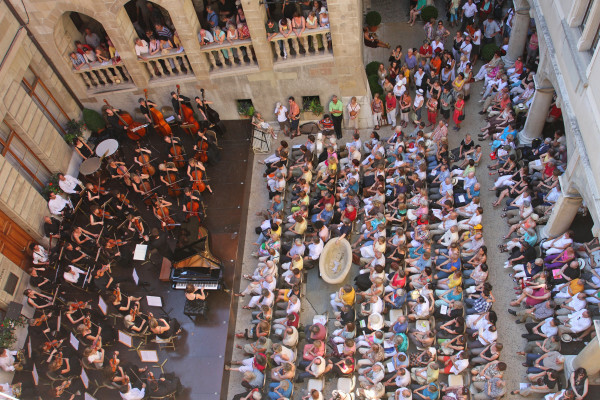 Until 21st August: Musiques en été, an impressive series of live concerts covering all possible music genres and taking place in some of the city’s most picturesque spots. From jazz to classical, rock and hip hop you will definitely be spoilt for choice. The best thing ? All the Musiques colorées live concerts at the Scène Ella Fitzgerald, parc de La Grange are free of charge ! Until 21st August 2013: Zumba & Bokwa courses and Tai Chi classes at the Parc Geisendorf in Geneva. Open to all, at different fitness levels the Tai Chi courses take place on Wednesdays at 6.30pm (call 022 733 08 36 for more info); while the Zumba will be at 4.30pm on Wednesdays and Sundays (except on the 28th and 31st of July, see www.osezgeneve.ch for further details. 23rd August 2013: Contes “100% chorizo”, Spanish storytime & music at the Bibliothèque de la Servette (Rue Veyrassat 9) from 7.30pm. For ages 7 and older, free entry no booking required. until 23rd August 2013: “An evening at the farm “ Aux Saveurs d’Autrefois”, enjoy a Friday evening trip to the Farm “Aux Saveurs d’Autrefois” in Bussy-Chardonnay with the Little Train every Friday evening until the 23rd of August 2013. Participants will experience life in an animal farm and try their hand at making a delicious sugar bun. 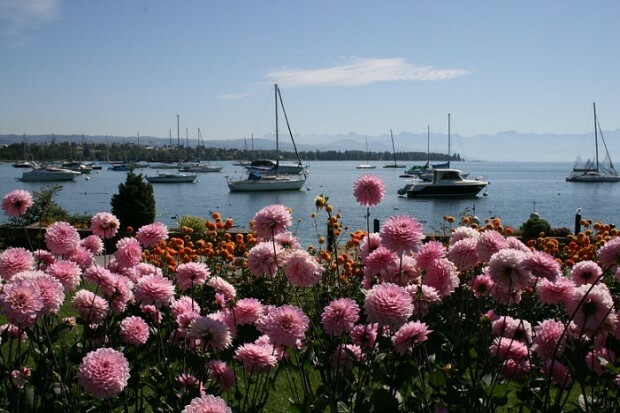 From 4.30pm to 9pm, pick-up at the landing stage CGN in Morges, then direction Bussy-Chardonnay and back to Morges. This late afternoon/evening tour includes an aperitif with local finger food, homemade pizza, salad, fruit pie and soft drinks (wine, beer, coffee, tea not included). Price: CHF 35.- adult / CHF 30.- pensioner / CHF 25.- 6-16 years old / CHF 10.- 2-5 years old. 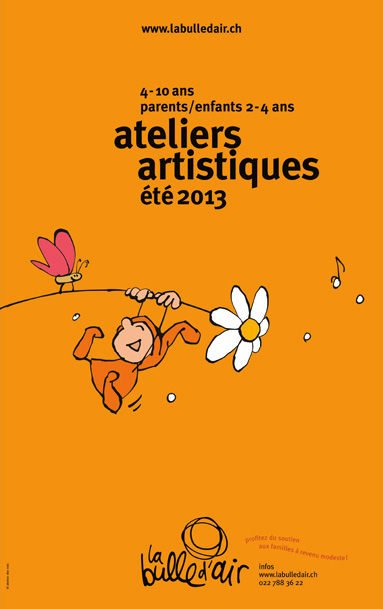 Until 23rd August 2013: Ateliers artistiques été 2013, music and movement workshops for children aged 4 to 10 organized by La Bulle d’Air at the Villa Dutoit in Petit-Sacconex. Check online for availability, prices and exact dates. 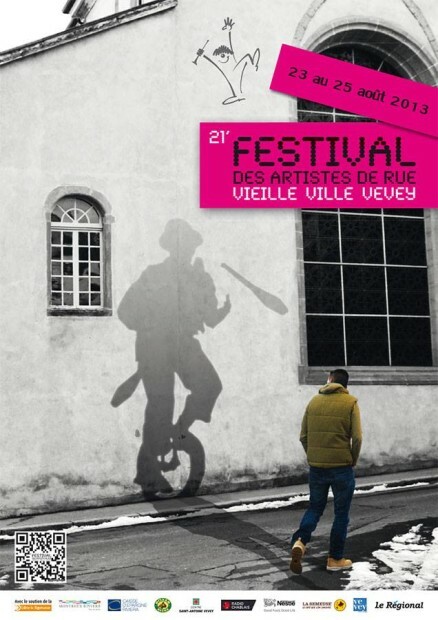 23rd-25th August 2013: the Festival des artistes de rue in Vevey’s old town (VD) will welcome international street artists from all over the world exhibiting their acting. musical, juggling, circus and even fire-eating skills ! Sunday 25th of August is “Family Day” so don’t miss the extraordinary line-up of family shows taking place from 11am to 5pm. See the official website for further info, entry is free but artists will ask for donations at the end of each performance. 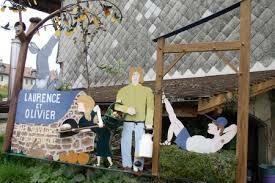 until 25th August 2013: Wednesday morning at the farm, enjoy a trip to the Farm “Aux Saveurs d’Autrefois” in Bussy-Chardonnay with the Little Train every Wednesday morning until the 25th of August 2013. Participants will experience life in an animal farm and try their hand at making a delicious sugar bun. From 09h30 to 12h00, pick-up at the landing stage CGN in Morges, then direction Bussy-Chardonnay and back to Morges. 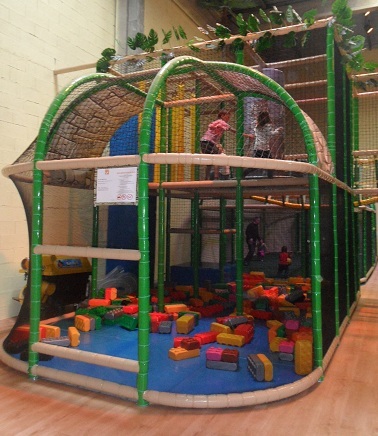 Price: CHF 23.- adult / CHF 18.- pensioner / CHF 15.- 6-16 years old / CHF 8.- 2-5 years old. 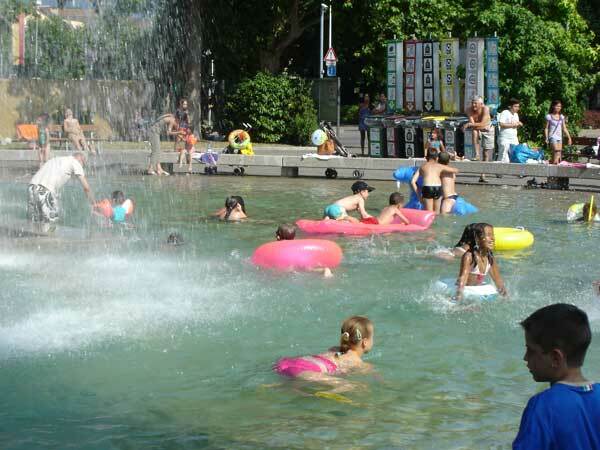 until 25th August 2013: the Tour de plage at the Fontaine des Tours in Carouge (20-22 boulevard des Promenades), opens up again for the season. 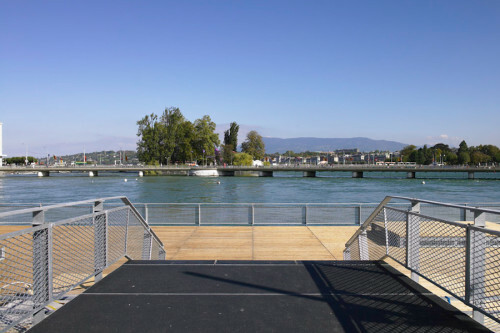 A fantastic spot right in the heart of Carouge, where you will be able to enjoy live concerts and plenty of activities for the little ones, including face painting, giant outdoor games from Carouge’s toy library etc. – and all are free of charge ! There are too many activities planned to list them all here, so click on the official website for full details. 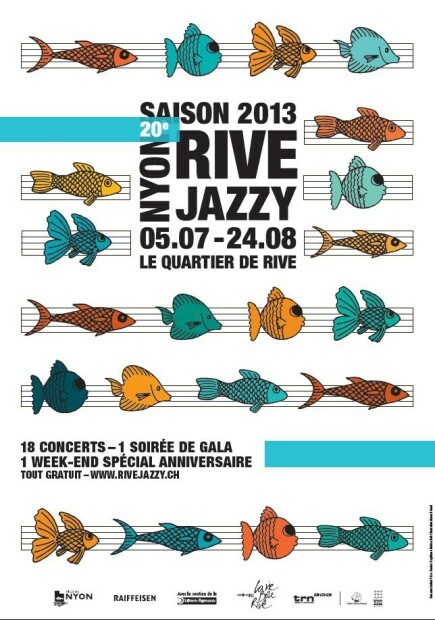 Until 24th August 2013: RiveJazzy Nyon 2013, a great music festival dedicated to traditional jazz music, swing, as well as latino & gipsy music. 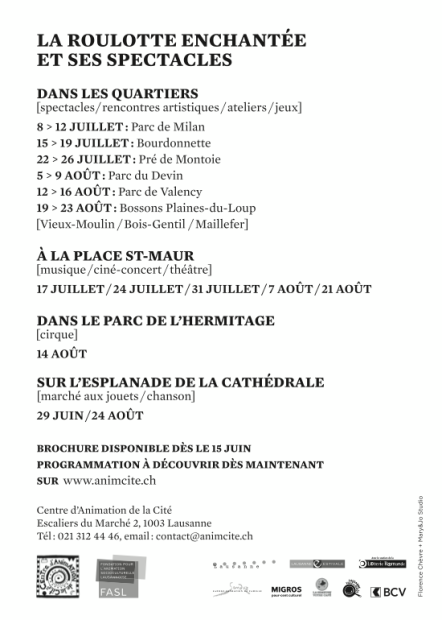 It takes place in the Quartier de Rive in Nyon during the months of July and August (except during the Paléo Festival), concerts might be cancelled in case of rain or bad weather. Entry is free of charge for all and there are plenty of delish options to combine dinner with some great live music. Visit the official website for full programme details and performance times. 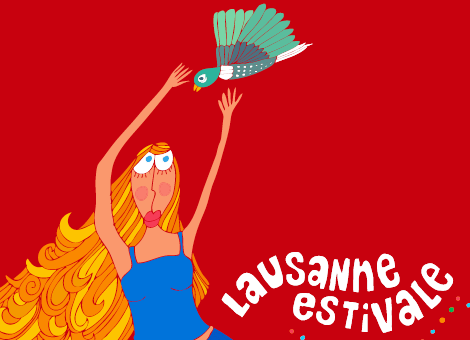 Until 24th August 2013: La Roulotte enchantée, a great summer initiative in Lausanne offering free shows, workshops and activities for children in various locations throughout the city. Take a look at the official website for details of their daily locations and activities, make the most of their free workshops and theatre shows – the full programme can be downloaded here. 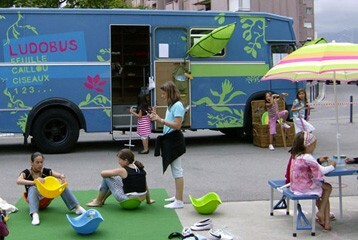 Until 25th August 2013: Opération chaises longues, a great initiative organized by the city’s public libraries offering mobile book services (livres nomades), free apples, sun loungers and more free activities to allow families, the elders and young people to enjoy Geneva’s beautiful parks to the maximum. Here are some dates and location for you: Parc des Bastions; Parc Trembley (01.07-25.08); Parc Beaulieu (01.07-25.08); Parc du Promeneur solitaire (01.07-25.08); Parc Bertrand (01.07-25.08); Parc Baud-Bovy (01.07-25.08); Bois de la Bâtie (01.07-25.08); Parc La Grange (29.07-25.08). 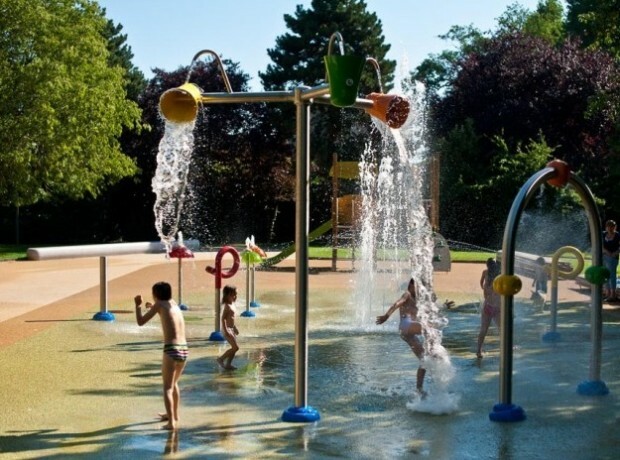 The best place to enjoy a warm summer’s day is Genève-Plage (Quai de Cologny 5, Port-Noir): make the most of the swimming-pools, water slides, sandpit and play area (& don’t forget your suncream!). 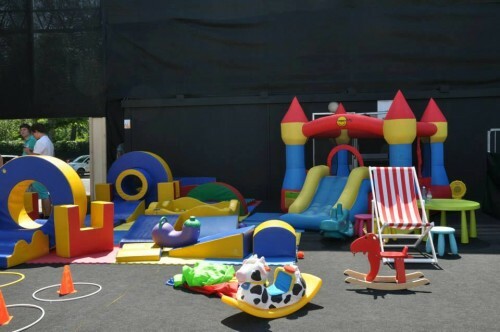 The great news this summer is that Yatouland will also be there until the 26th of August 2013 with activities & bouncy castles for children aged 0 to 10. Open from 2pm to 6pm Monday to Friday and midday to 6pm at the weekend AND it will be free of charge, fabulous ! 25th-30th August 2013: Festival Au Bonheur des Mômes in Le Grand Bornand (France) is an international festival dedicated to kids’ shows of every kind, from puppet shows to acrobatics, clowns, dance, juggling and a lot more. This year’s edition will also feature the “La Maison des Tout-petits”, a dedicated play area for little buttons aged 0 to 2 where they will perform shows suitable for such a young age. If you have older children who’d like to try their hand at something new, register for one of the 26 fun workshops available. Visit the official website for full programme details and to buy your tickets. Wednesday 28th August 2013: Petits Rendez-vous at Geneva’s MAMCO for little ones aged 5 to 10 accompanied by an adult. These fun, interactive visits for kids are free of charge and require no advance booking. Introduce your little ones to the joys of modern art with these great guided tours, which start at 3.15pm. 30th August 2013: “Nuit des chauves-souris à Genève”, organized by the Muséum d’histoire naturelle. 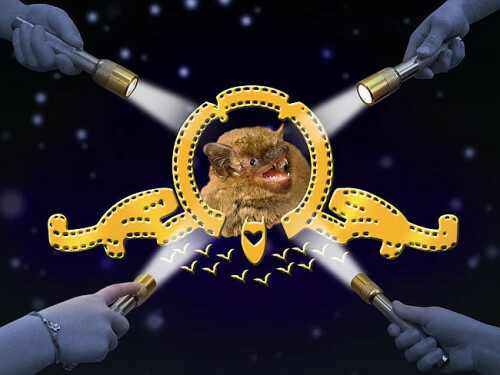 From 7.30pm to 11.30pm discover all there is to know about these nocturnal creatures. Entry is free but advance booking is strongly recommended. Contacts: Pascal Moeschler, Céline Rochet & Thierry Sandoz, tel. 022 418 64 03 (voicemail, leave your details to reserve your places). Muséum d’histoire naturelle, Route de Malagnou 1, Genève. 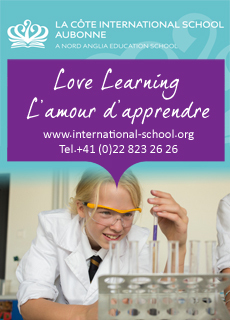 See the official website for full programme details, which will be available online from the 12th of August 2013. 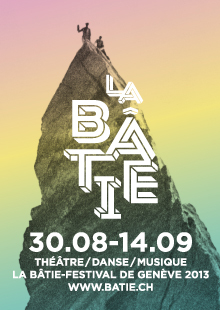 30th August-14th september 2013: La Bâtie – Festival de Genève, an unmissable line-up of fantastic concerts, theatre & dance shows, workshops, exhibitions and much more. Don’t miss the C.A.P.E. family show by the Crew Online Art Project from the 31st of August to the 3rd of September at the Maison communale de Plainpalais (Rue de carouge 52). 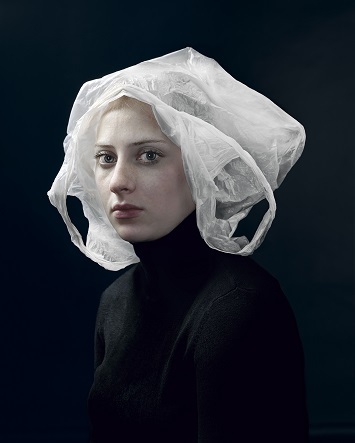 A unique performance dealing with virtual reality, contemporary art and individual perception. Visit the festival’s official website for full programme details and to book your tickets. 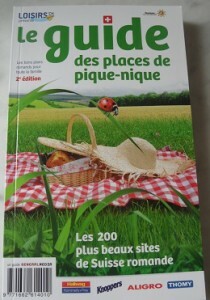 Until 31st August 2013: Saint-Jean plage, enjoy the sun loungers and umbrellas placed outside the Bibliothèque de Saint-Jean (Avenue des Tilleuls 19) for a moment of peace, to read or just to relax ! 31st August-1st Sept. 2013: “Animations Jeune Public” everyday at 3pm at the amphitheatre at Signal de Bougy (Parc Pré Vert). The shows are free of charge and take place outside so they will be cancelled in case of rain or bad weather. This week’s show is “Jour de Rêve” , a show with giant puppets. 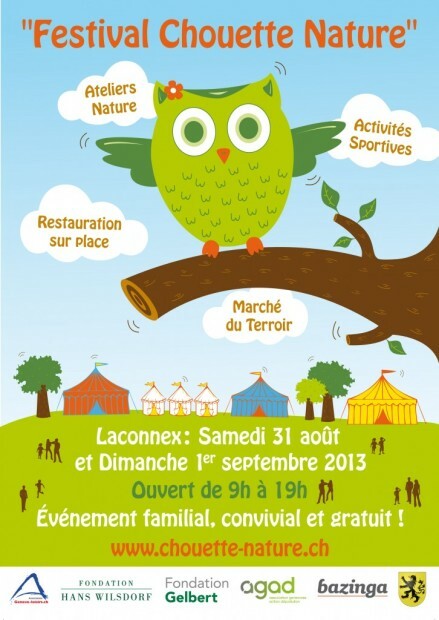 31st August-1st Sept. 2013: Festival Chouette Nature in Lacconex (Geneva), this is the first edition of a new family festival focused on nature and sports. 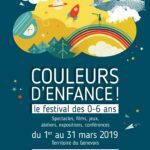 For ages 3 to 15, the festival will offer plenty of workshops and activities for all including very young children in the dedicated area “Les Bouts-de-Chou”. Delicious Genevan specialities and local produce will also be available from the festival’s market. Free entry, see the official website for further details. 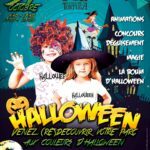 Until the 1st of September 2013 Vitam’parc (500 route des Envignes, Neydens, France) will offer many free activities and sports for children run by a team of Vitam’parc organizers. From 1pm to 6pm, your children will be able to enjoy the outdoor sandy beach, bouncy castles, beach volley tournaments and much more, and all activities included in the entry ticket to the water park. Children aged 6 to 12 can also enroll for the summer swimming school, which runs from the 8th of July to the 30th of August 2013 (each course is 5 days). Spring is a fantastic time to explore Switzerland and its picturesque villages. 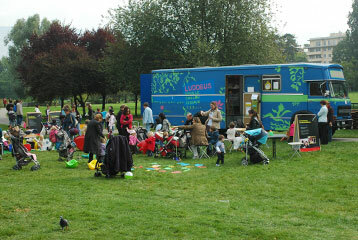 Take a peek at some of our previous articles for suggestions about great days out with the kids. Do you have children aged 8 and older who are desperate to learn how to skateboard ? If so, take a look at the summer 2013 courses organized by Gvask8.com at the skatepark in Plainpalais. Dates available during July and August, courses last 1 week, more info on their official website. 30th August-1st September 2013: “Les celtiques de Vivisco”, a unique Celtic festival in Vevey open from 9.30am until midnight. 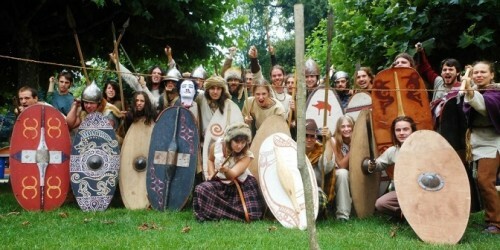 Discover more about Celtic life in the Vevey area and watch the amazing historical re-enactments: from music and dance to fighting and pottery making this makes for truly fascinating viewing for the whole family. Entry 5CHF per adult and free for children under 12. 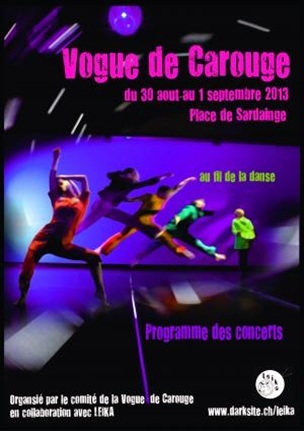 30th August-1st September 2013: Vogue de Carouge Festival at the Place de Sardaigne with live music, kids activities, face painting, dance and many more fun activities for the whole family. 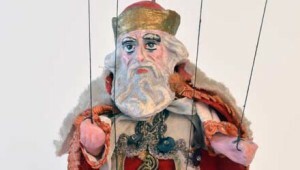 until 1st September 2013: “Ainsi font, font, font…Marionnettes d’ici et d’ailleurs”, an exhibition about string puppets and how they developed along the centuries at the Musée de Carouge (Place de Sardaigne 2). A truly fascinating exhibition for adults and children alike, open Tuesday to Sunday from 2pm to 6pm. Free entry. 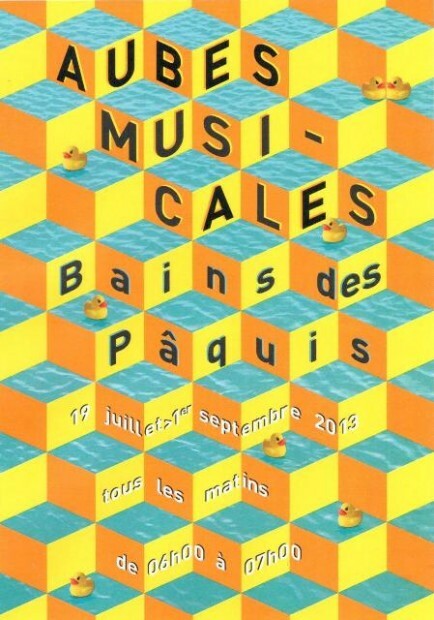 until 1st September 2013: “Aubes musicales” free live concerts from 6am to 7am every morning at the Bains des Pâquis. Enjoy one of Geneva’s finest cultural traditions (summer isn’t summer without these concerts at the Bains!) and start your day inspired by beautiful music…and a free coffee too! 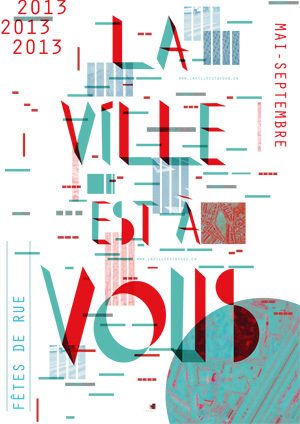 until September 2013: La ville est à vous returns for its 10th edition, kicking off on the 4th-5th of May in Coulouvrenière with street parties, second-hand sales and activities for children. Take a look at the official website for all upcoming weekends and join in !